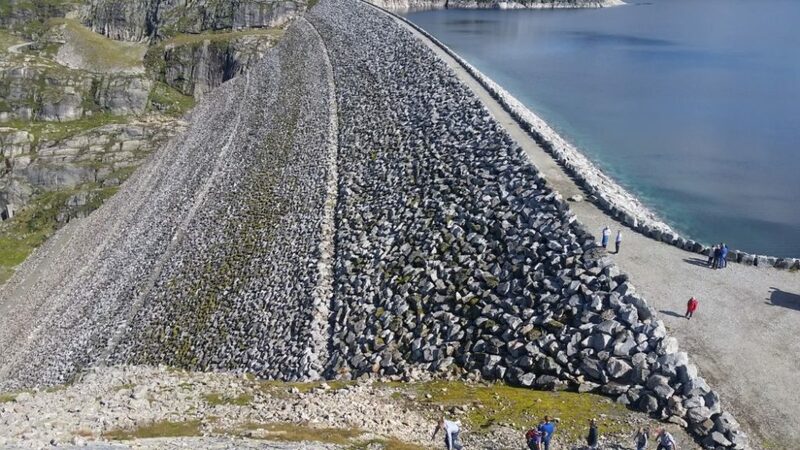 The ability to efficiently apply and handle terabytes of model data and results, gives new possibilities in scheduling and planning of the Scandinavian hydropower system. SINTEF is, through refurbishment and technology upgrade of the hydro scheduling models used in the industry, preparing for the challenges and possibilities of the future. Find out more about our different hydropower models and software. We aim to keep our industry-driven and widely used hydropower models ahead of the game. This game changes faster than ever. Efficiency of hydropower operation and planning will be very important for a cost efficient and reliable electricity supply. The future is electric, says Statnett (Norwegian TSO). And electricity demand is foreseen to grow, for example due to electrification of transport. Keeping track of large amounts of climate data from measurements on the ground as well as satellite, will make it possible to understand and learn more about how uncertainty in inflow, windspeed solar radiation can be accounted for in scheduling and planning of hydropower. In the future, interaction between the prosumer the smart distribution grid and even directly with the energy markets will be enabled by ICT. The consequences of this is that new business opportunities, as well as new ways to manage the involved risk, will emerge. With SINTEF’s hydropower models we get a warm start for research that combine data from historical operation with new sensor data. This enables us to design machine learning systems that automatically improve parametres in hydropower models and improve operation. The forecast methods for inflow developed for many years is supplemented with national or European models of wind speed and solar radiation, that will enable better interaction between energy storage (hydro, batteries, power to gas etc) and intermittent energy production. It is always satisfactory when our research can play a role and make the most of hydropower. And new areas for improvement will come, when we by learning and understanding the state of the equipment. Then we can take this information into account in the scheduling tools and so extend lifetime and reduce the maintenance needs of the hydropower equipment. As experts in hydropower scheduling, we are pushing the boundaries of what is possible to model and include in SINTEF’s optimization tools. Access to data and new model designs are already opening new possibilities, enabling us to run benchmark test of real processes with real data. This provides new competence; important to the industry and SINTEF, as we learn what will give value and what not. With this knowledge, we can target the improvement towards the areas of value. Combining traditional optimization with artificial intelligence. We need to beat the dimensionality of joint scheduling of reservoirs and energy storage throughout the energy system. In that follows from the combined uncertainty in water, wind and sun. It is fun to best todays models and create tomorrows solutions.